Last updated by suzlipman at October 19, 2012 . 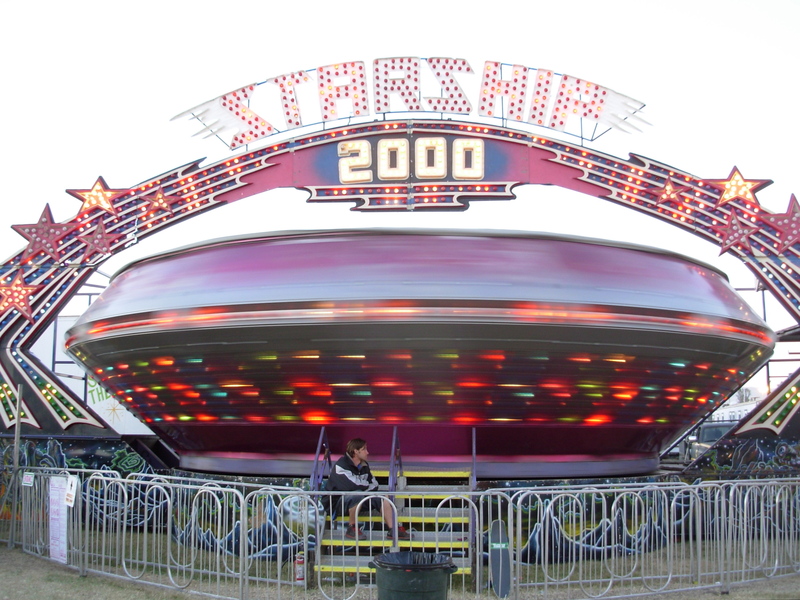 One of the fascinating things about fairs is the way the equipment and entertainment rolls up in trailers and trucks, rolls out onto midways and fields, and rolls on to its next destination. Indeed, it can be quite a sad experience to stand on the midway of a once-busy fair the day after it’s been packed up to move on. 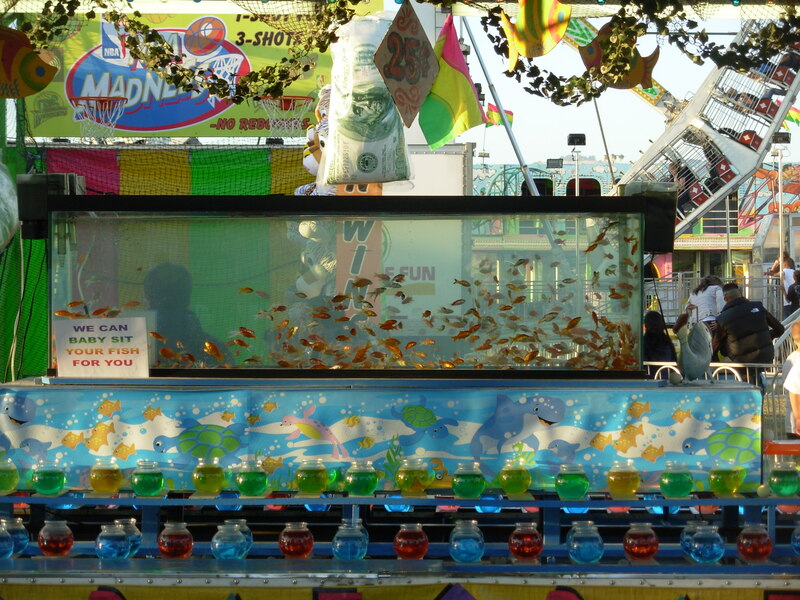 The middle of the fair is something else of course. 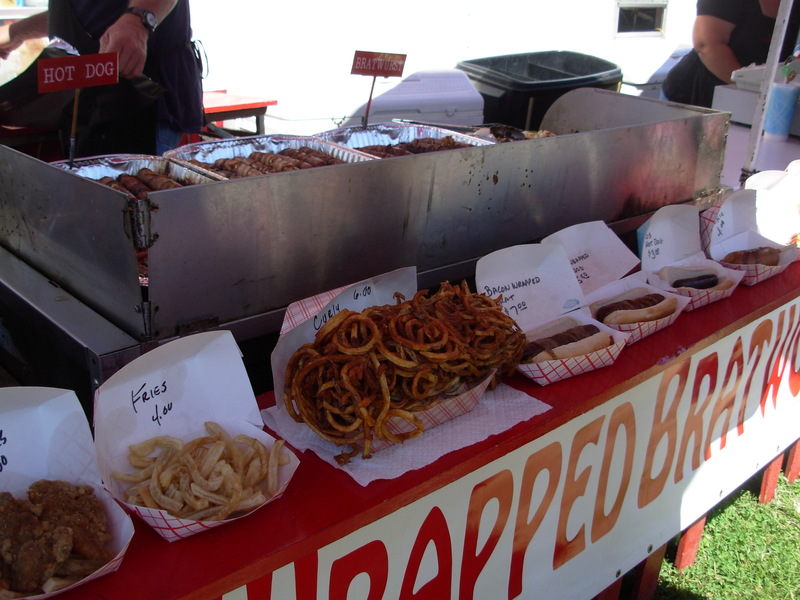 And in the middle of the midway is the food. 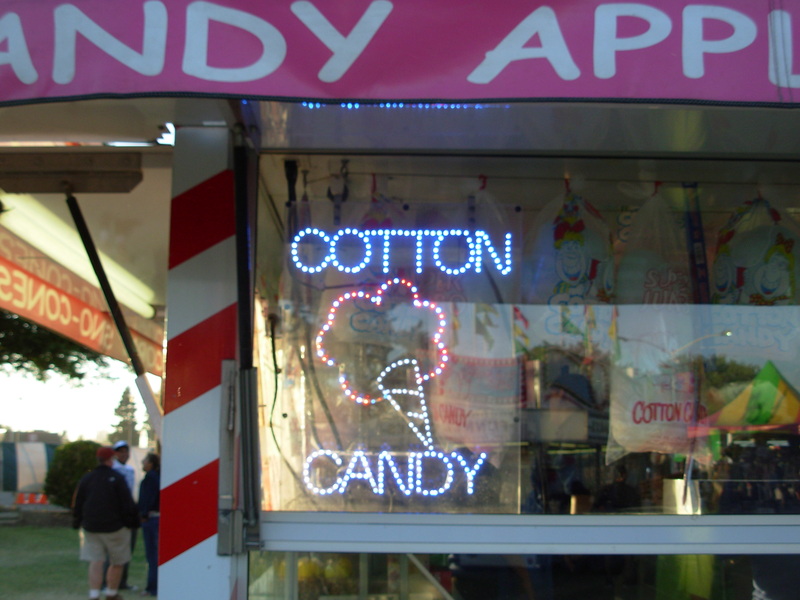 Strange, storied, remarkably unhealthy, uniquely American, offered-nowhere-else-in-the-world fair food. And that just covers the food for sale to eat. 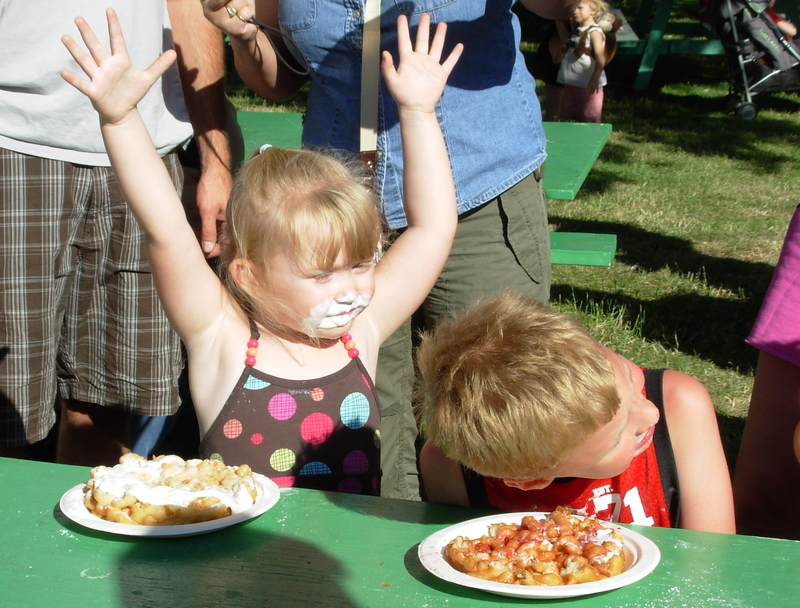 There are also various food-creating and food-eating contests, which each have their own culture of participation and judging. Hubby, “Hamming” (gamming?) it up. 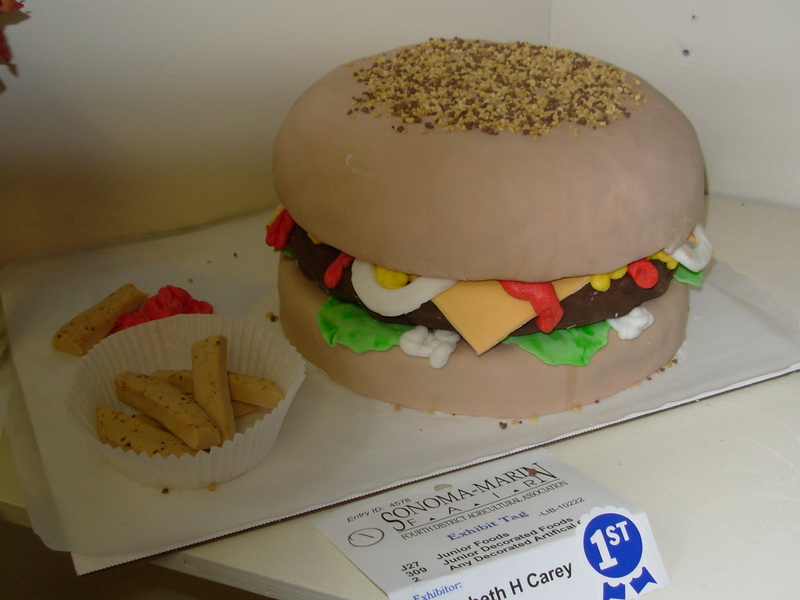 Love the burger cake! Baked by a young person, too. 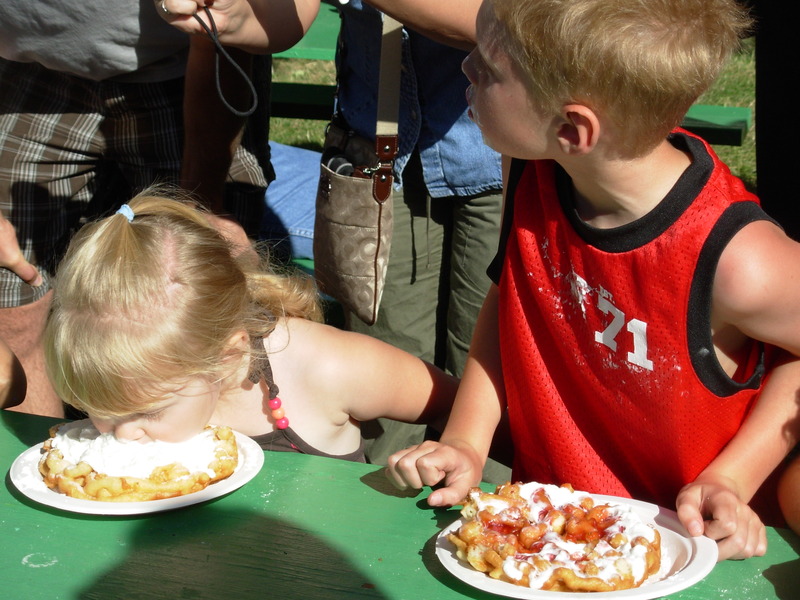 … And the classic funnel cake eating contest. 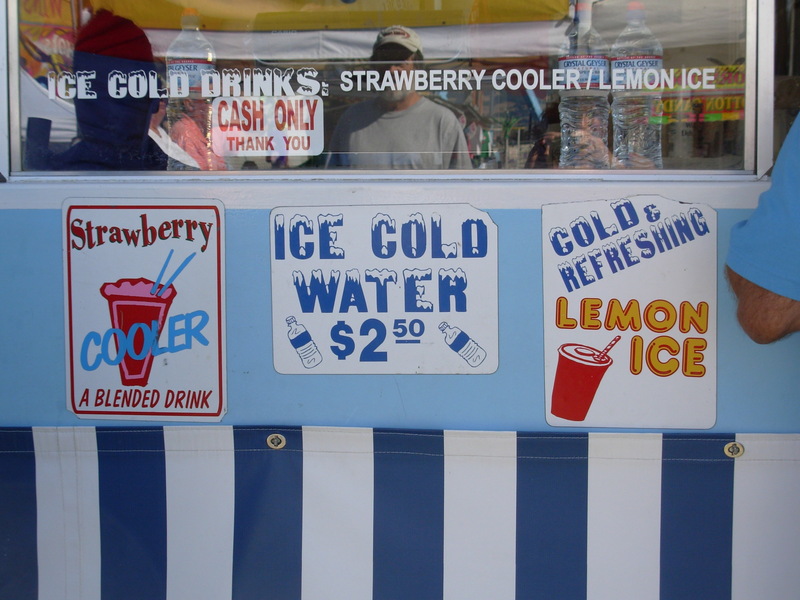 County and state fairs are wonderful, traditional summer events. 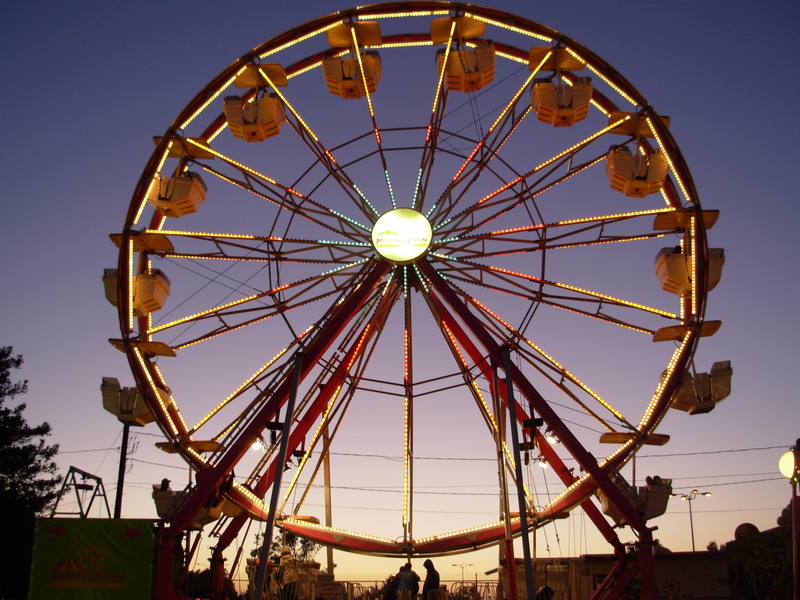 They offer down-home fun for people of all ages — rides, carnival games, contests, shows, and farming and animal exhibits. 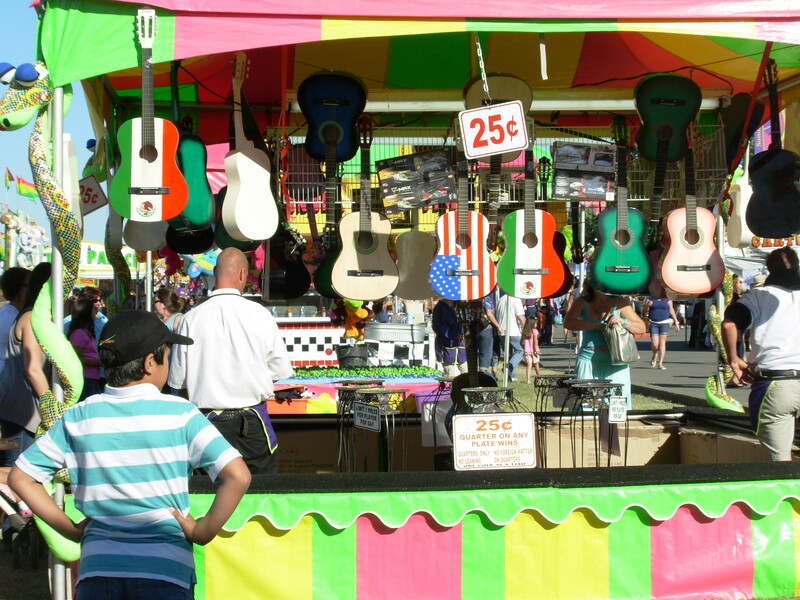 If you’re in California, which has a whopping 58 counties, chances are there’s a county fair near you right now. 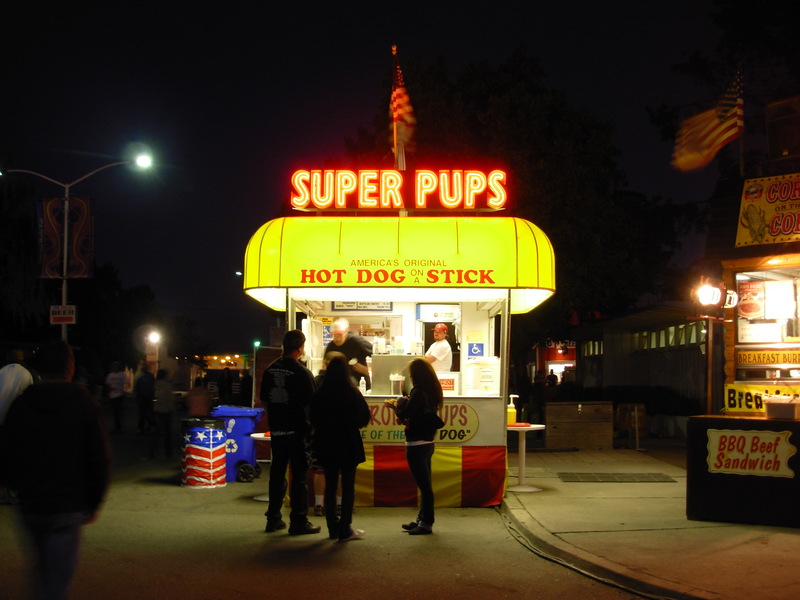 Even the California State Fair is happening now. 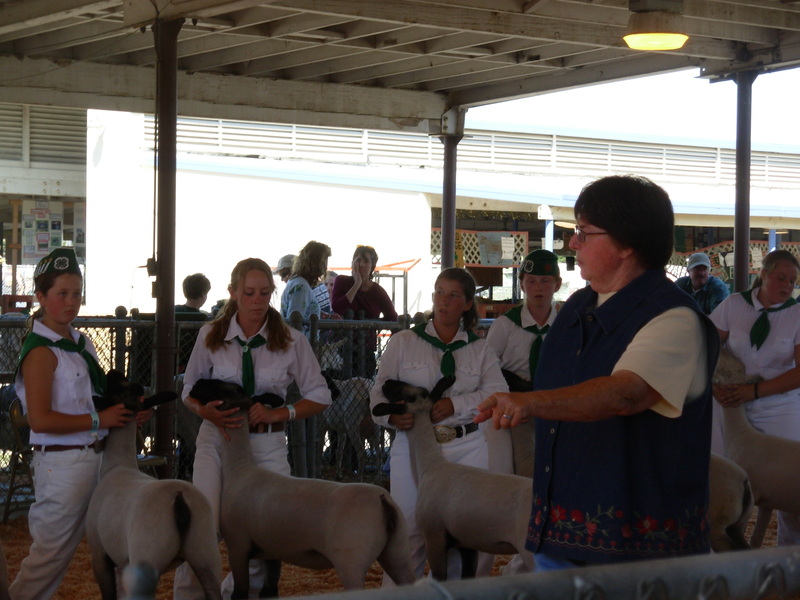 For me, the animal exhibits and contests are at the top of the list of things that make a great fair what it is. As a non-farmer, I can get educated about farm animals and the work and culture of breeding, caring for and showing them. Farmers, breeders and interested youth can also showcase their skills and work. 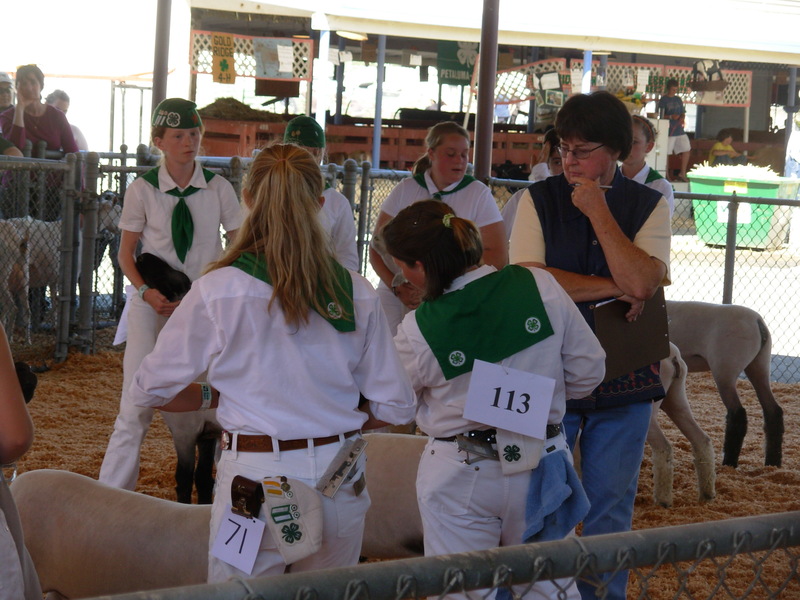 In very rural areas, fairs offer rare opportunities for busy farmers to interact, to show and to see what others are doing. 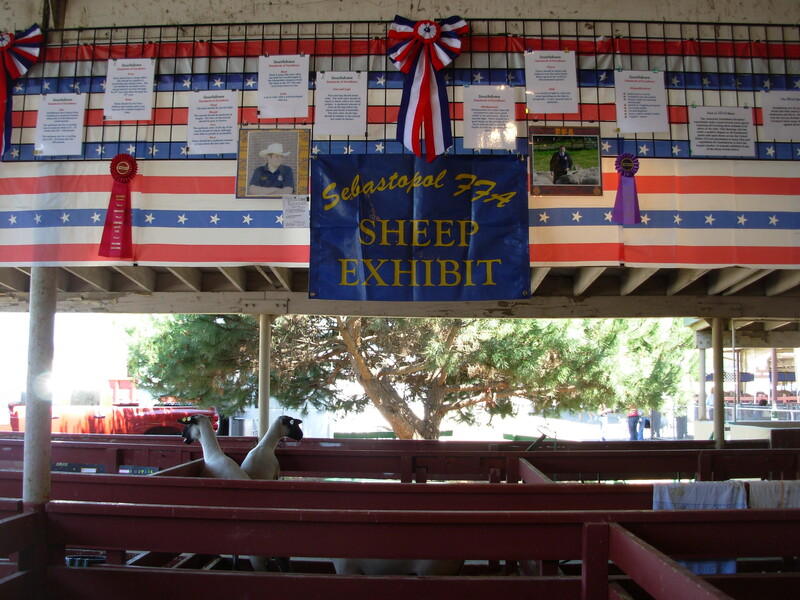 Animal exhibits have been a part of American county and state fairs ever since 1807, when farmer and mill owner Elkanah Watson showcased his sheep in the public square in Pittsfield, Massachusetts. According to StateFairRecipes.com, he clanged an old ship’s bell to attract attention. His goal was to encourage local farmers to raise Merino sheep, so that his mill would receive superior quality wool. 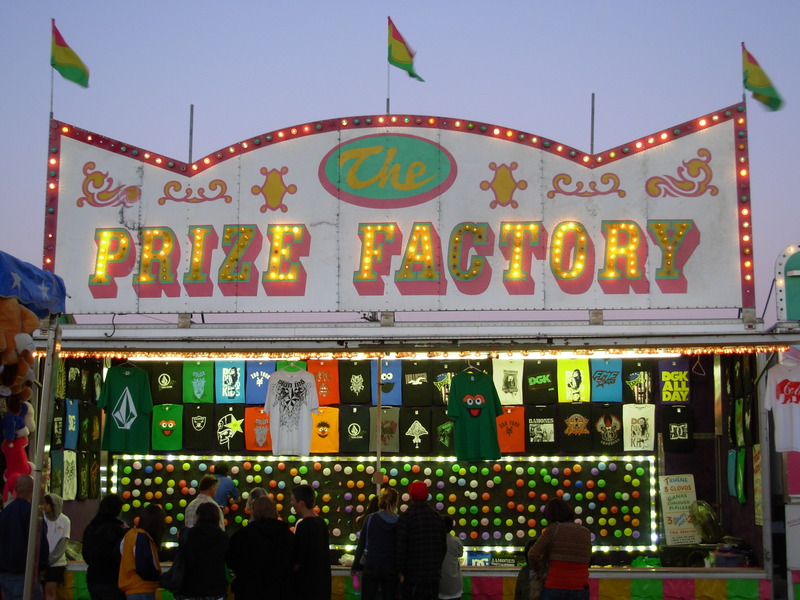 By the late 1800s, county and state fairs were occurring all over the U.S.
Each fair bears the unique imprint of its geographic area. 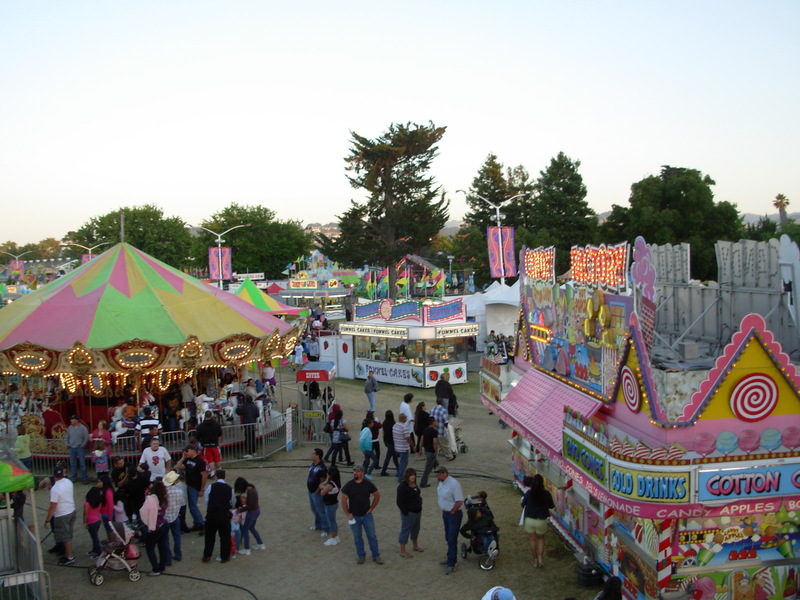 My favorite local county fair is the Sonoma-Marin Fair, which occurs in Petaluma, CA, in late June. 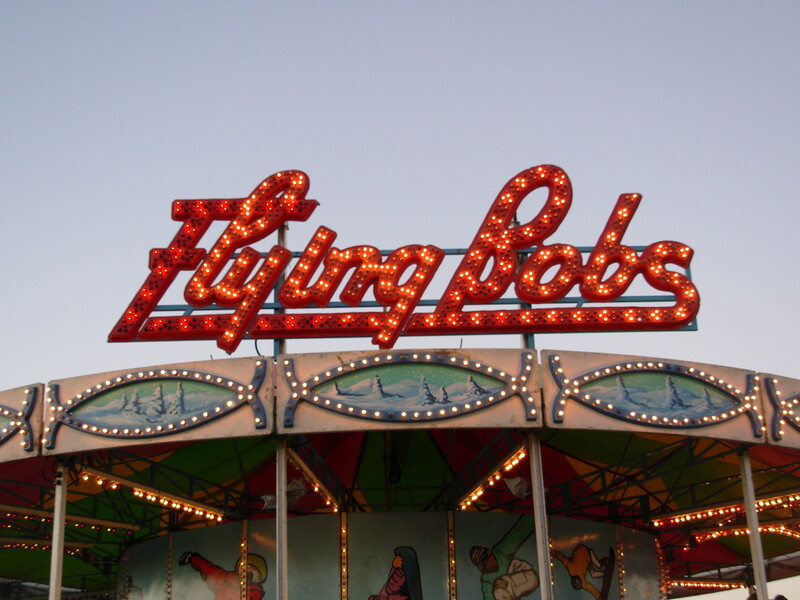 I recently posted a pictorial of the fair rides and games. Now it’s time to highlight the animal exhibits. 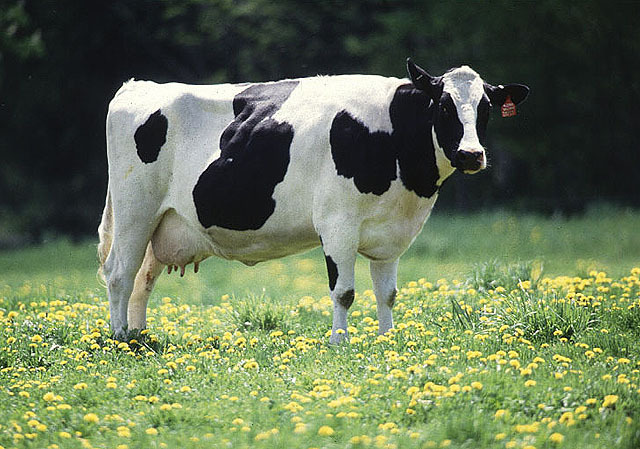 Of course, the cows are a favorite. We appreciate our weekly delivery of local Straus Creamery milk. The chicken coop was moved to a bigger, breezier area. It’s always fun to see (and hear) the regal roosters, hens and chickens. 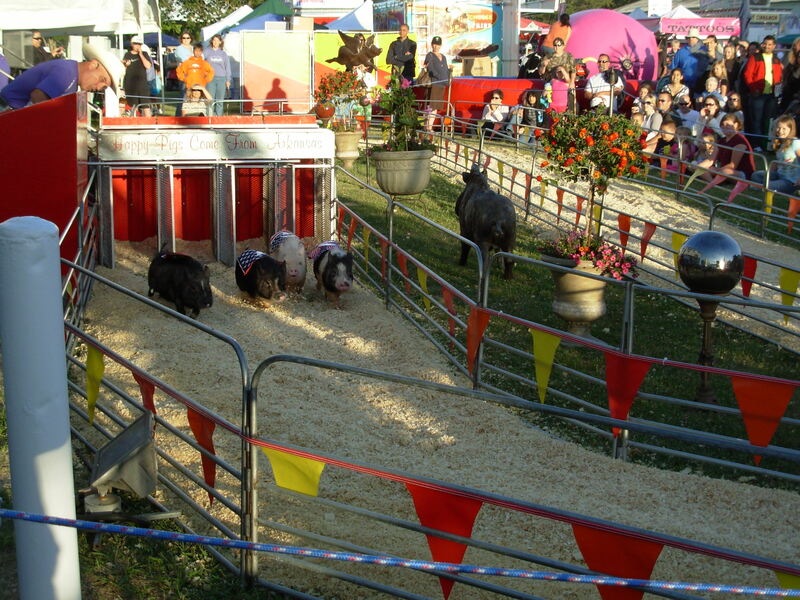 Hog races were a new addition this year. The caller and operation came all the way from Arkansas. 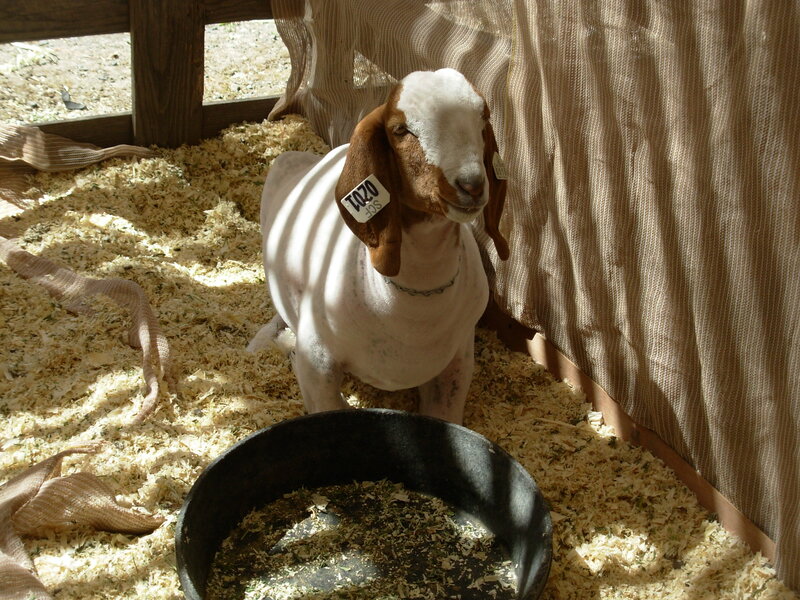 We spent a long time in the sheep and goat barn. 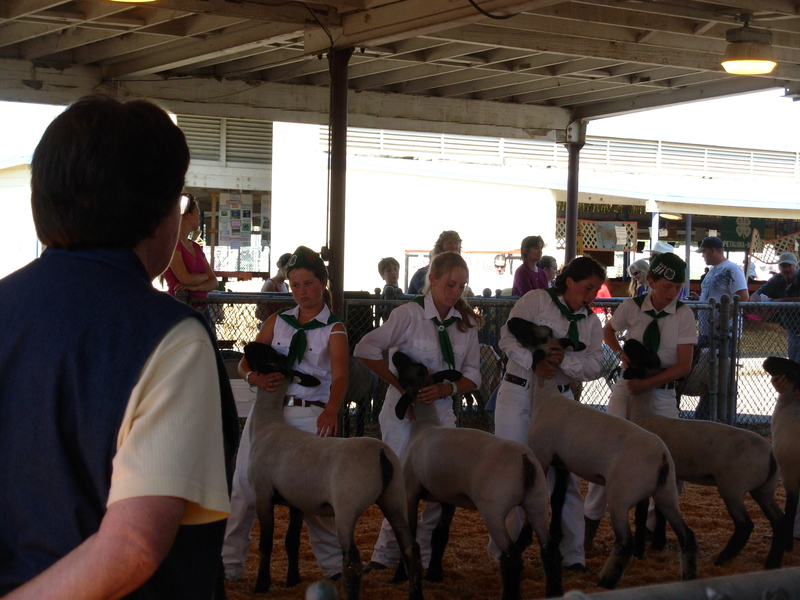 And we took in a Sheep Showmanship competition of 4H and Future Farmers of America youth. 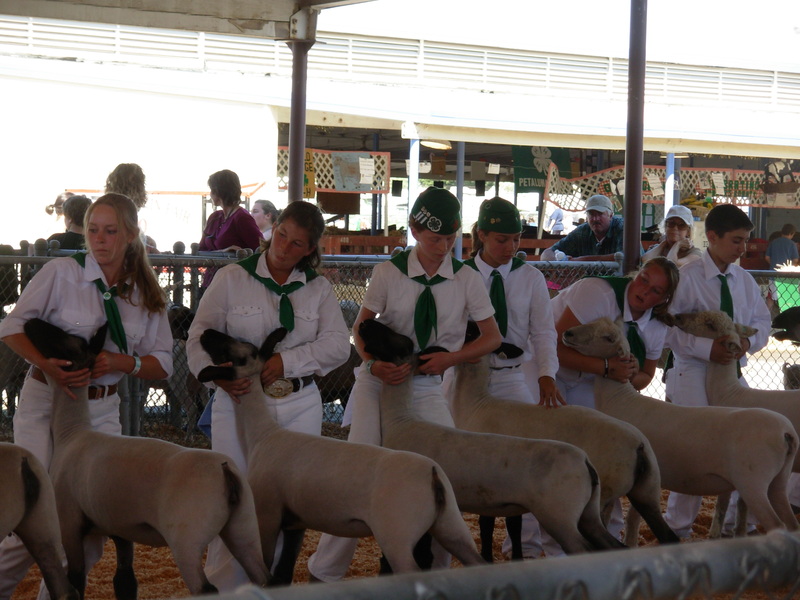 We were impressed with the participants’ diligence and sheep handling, as well as with the seriousness of the competition, the obvious work and skill involved, and the sheep themselves. 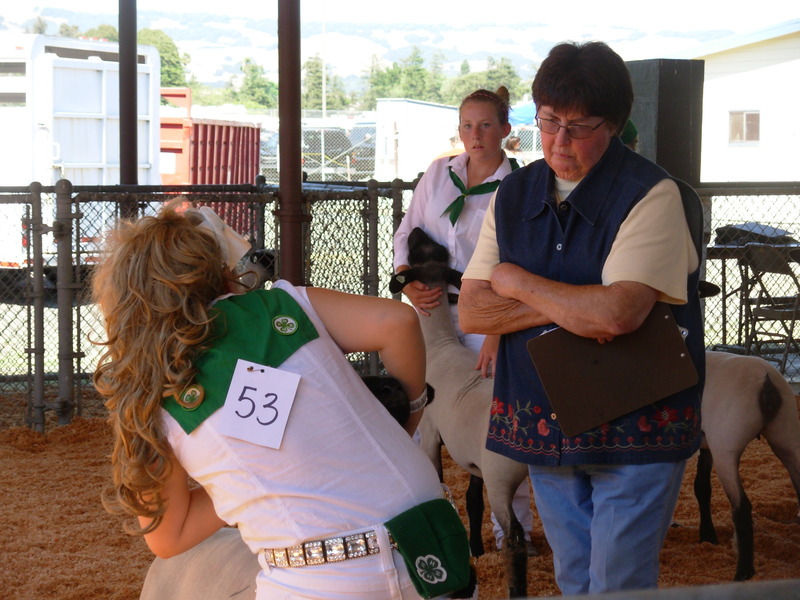 This site explains sheep show judging. See photos of last year’s fair’s pig showmanship competition and more. 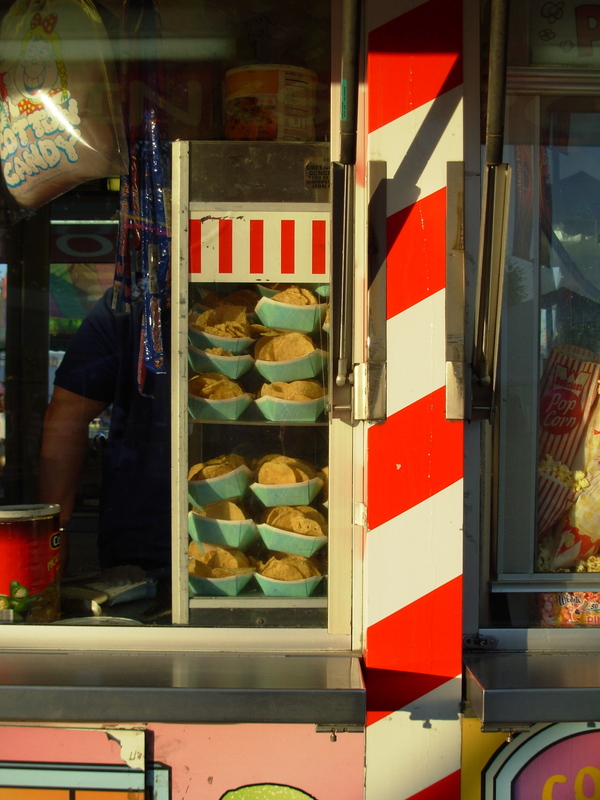 Watch for the final installment about the Sonoma Marin Fair: The Food. 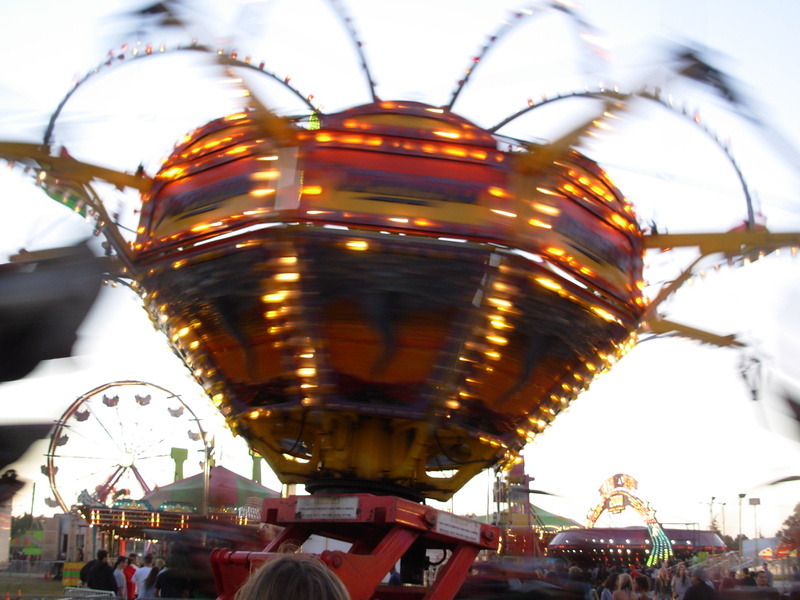 I love summer’s county and state fairs, none more than our local Sonoma-Marin Fair, in Petaluma, which has come and gone this year. 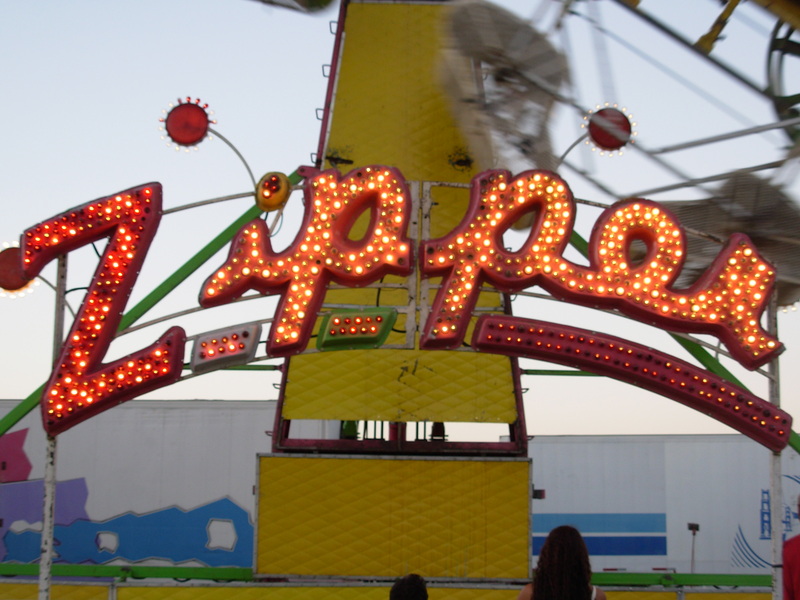 The Marin fair is closer, and the Sonoma fair bigger, but frankly, this one that we latched onto many years ago (before Anna was even born) is the keeper. 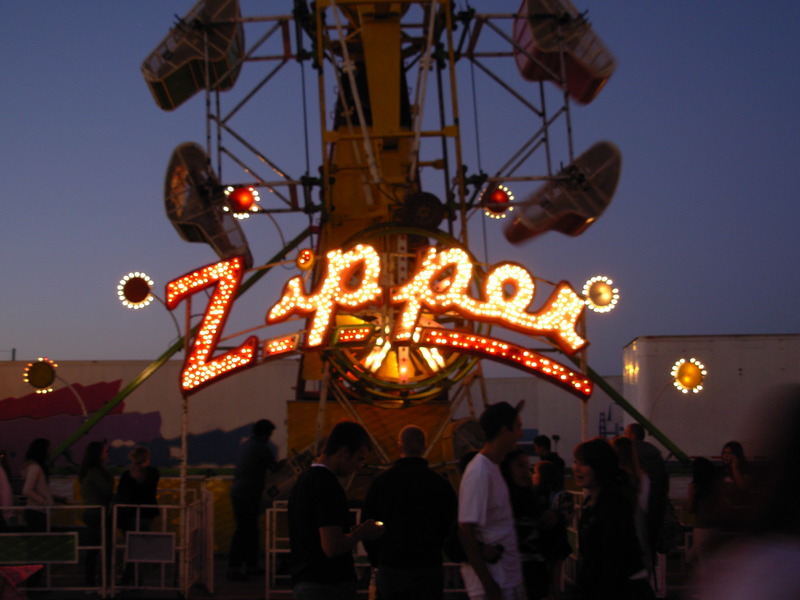 It’s a wonderful combination of farm animals and agricultural events; classic rides, games and food; a wide midway for strolling; country performers; and down-home exhibits and contests that recall simpler times when people came to fairs to show their baking and animal-handling prowess and to be exposed to new things. 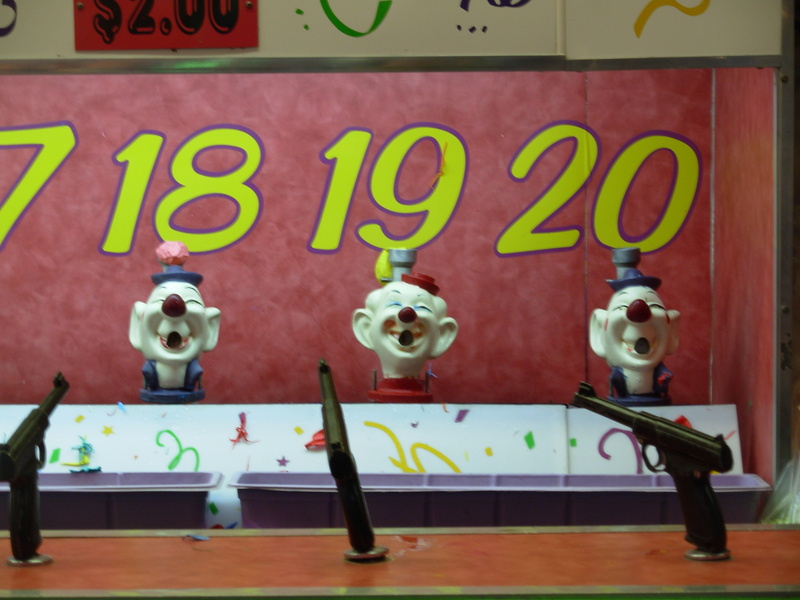 Here are some photos from last year’s fair. This year, I took so many, that I divided them into sections. 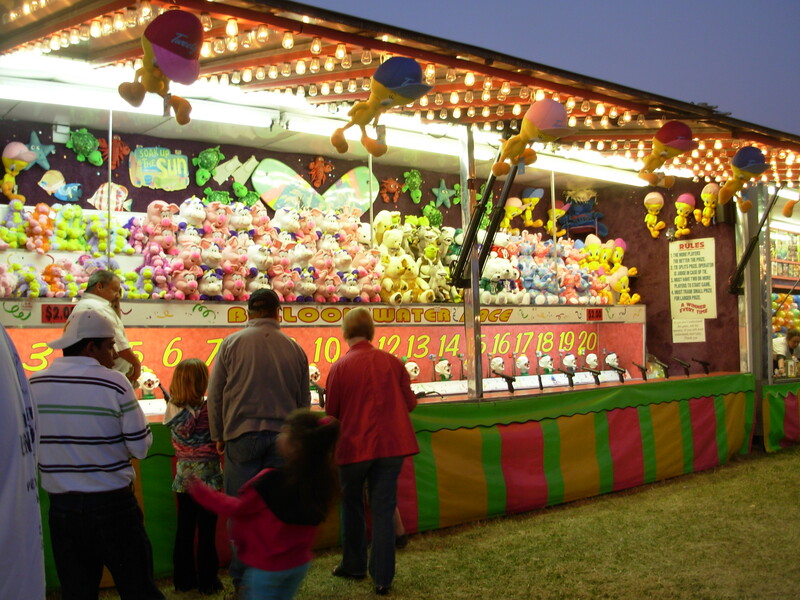 Come along and ride the thrilling and classic fair rides and soak up the atmosphere and draw of the traditional fair games on a summer day and dusk in June. 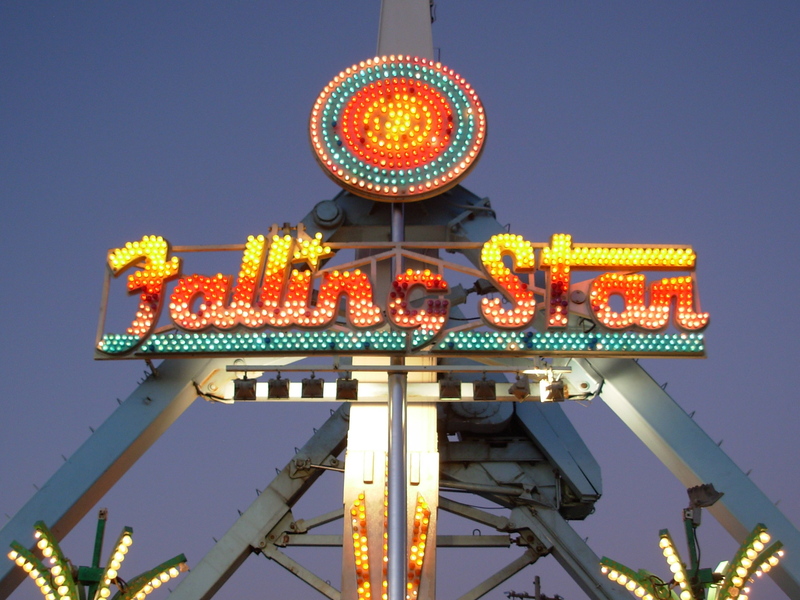 I love this Falling Star sign so much, I took movies of it! 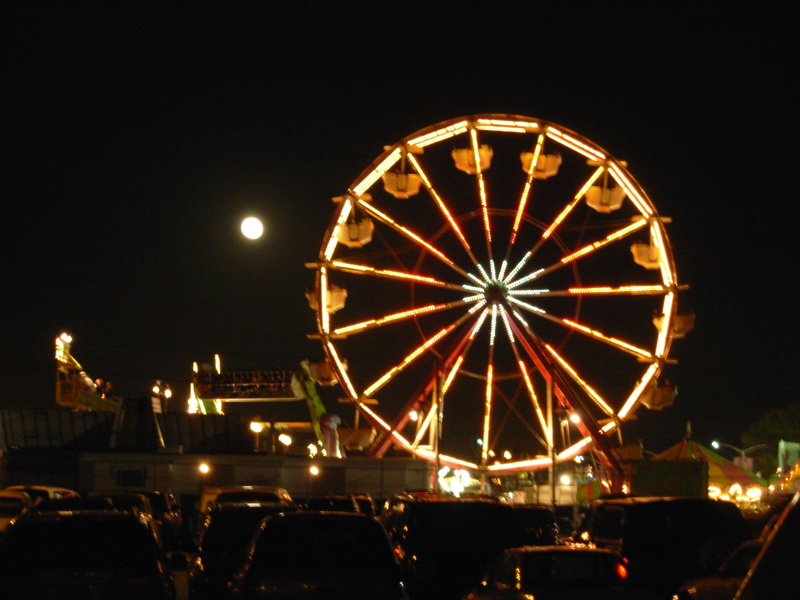 Coming up: Fair farm events and food. 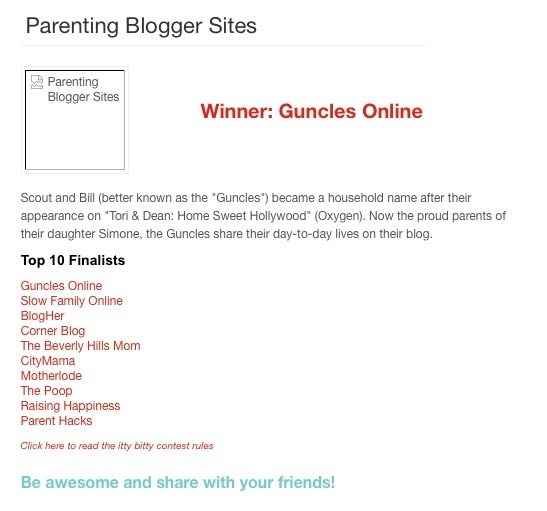 Inspired by Amanda Blake Soule and legions of lovely bloggers. I hope you’ll be similarly inspired and leave a link with your own “moment.” I’d love to see it. Here’s hoping you have a wonderful Fourth of July weekend! See the Peterson’s web site for directions and more information. 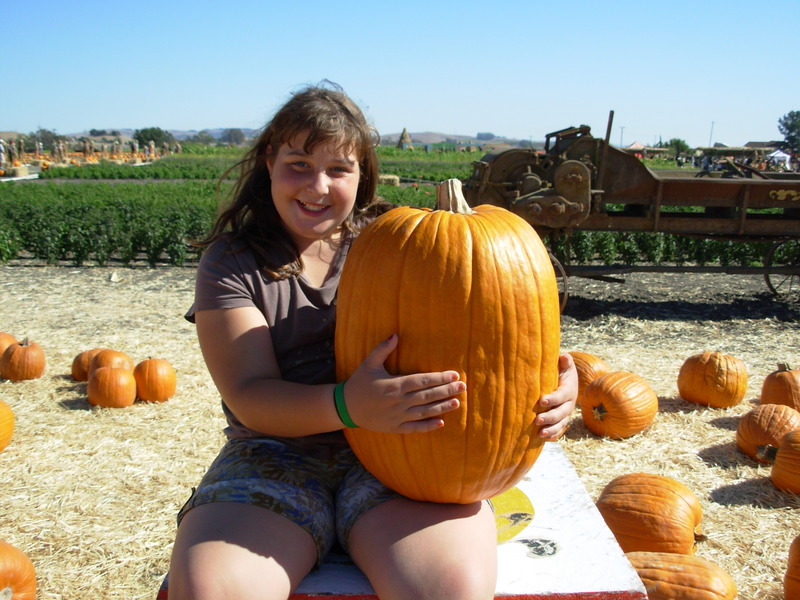 See the Peter Pumpkin Patch web site for directions and more information. This 30-acre farm has thousands of pumpkins and gourds for the picking, along with U-cut zinnias and sunflowers, and vegetables. Adobe also has a great corn maze, a hay ride, a haunted barn, a jump house, animals, crafts, and food and live entertainment on weekends. See the Adobe Farms web site for directions and more information. 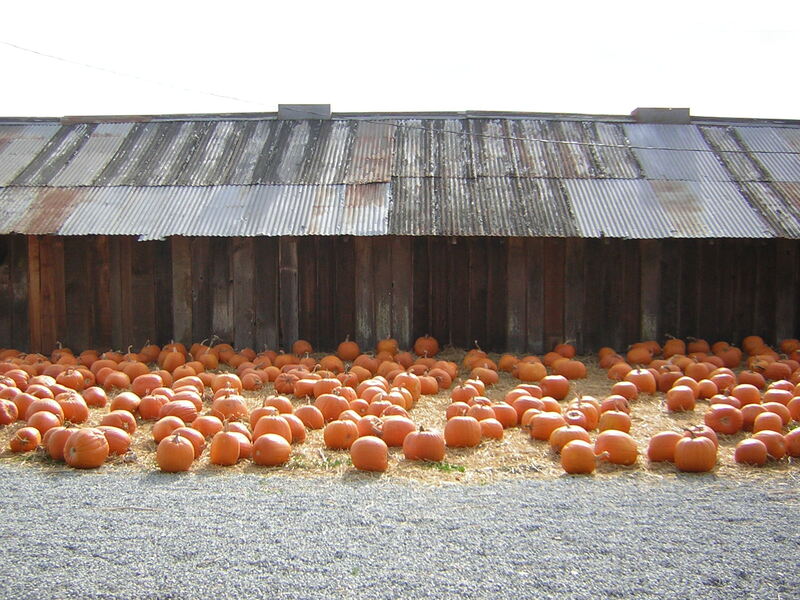 Along with a large, picturesque pumpkin field, Nicasio Valley Farms offers U-pick strawberries, lots of gourds, and a farmstand featuring a complete array of fresh organic vegetables, as well as eggs, breads and cheeses. There is a hay ride, a hay maze and a jump house. 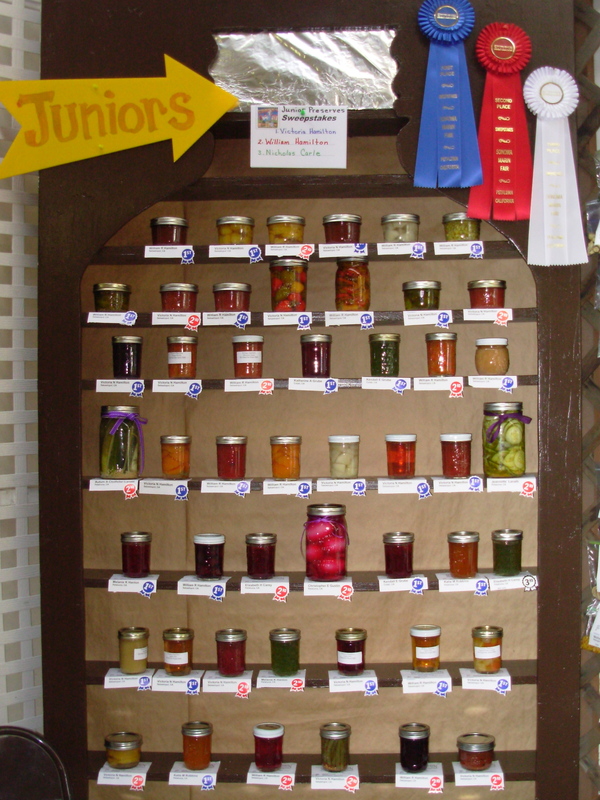 See the Smith Valley Farm web site for directions and more information. 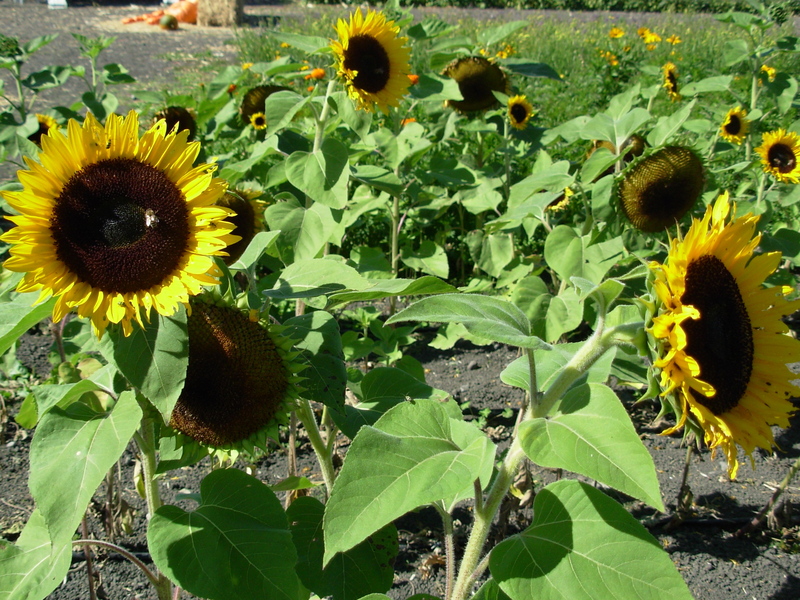 See the Clayton Valley Farm web site for directions and more information. See the Joan’s Farm web site for directions and more information. 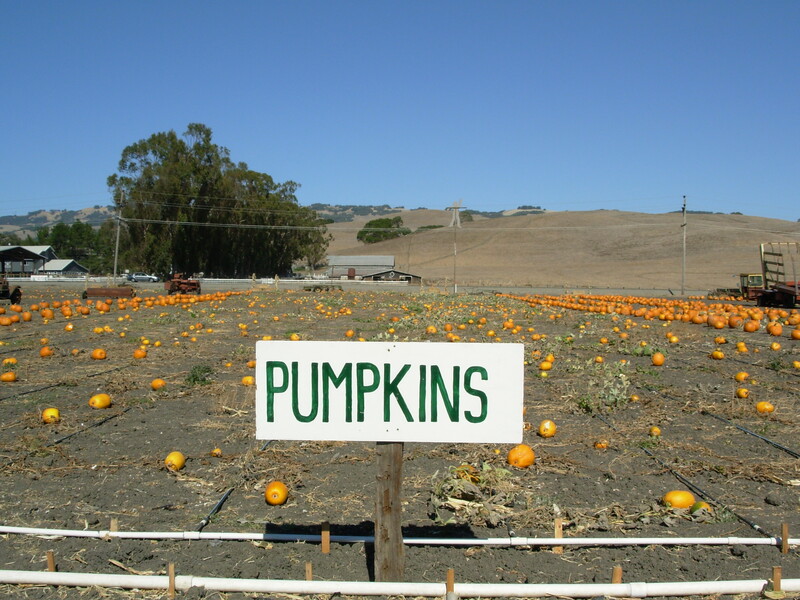 Half Moon Bay bills itself as the “Pumpkin Capitol of the World” for good reason. 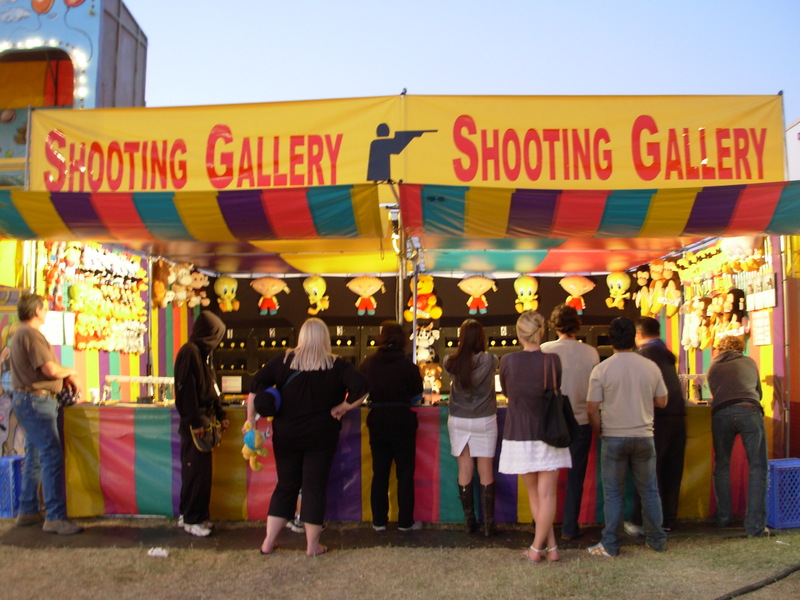 Many people know about its yearly Art and Pumpkin Festival, which occurs each year in mid-October. 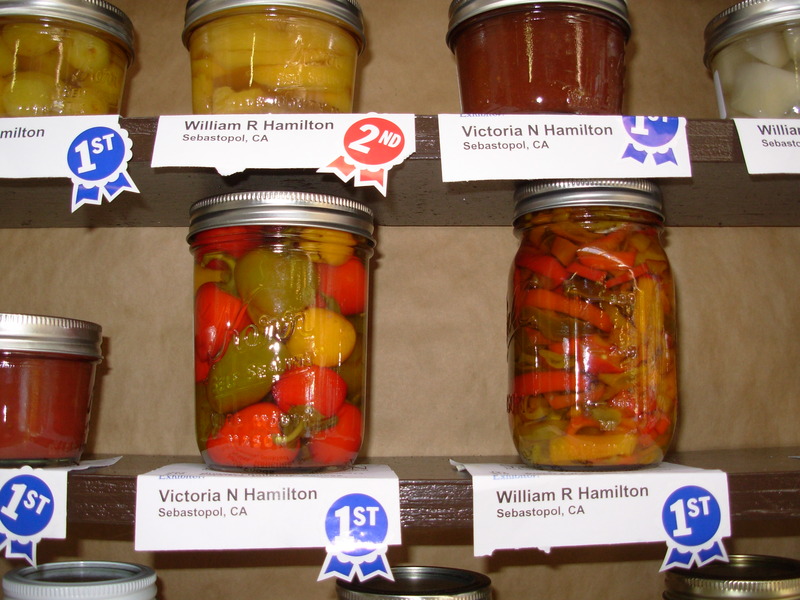 Less well-known is the bounty of area farms, many of which have been in families for generations, along Highways 1 and 92. 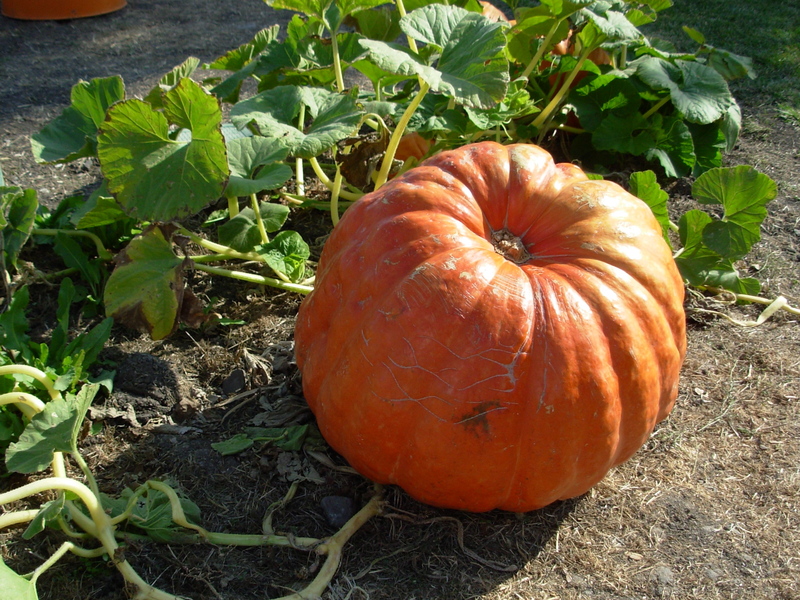 See the Farmer John’s Pumpkin Farm web site for directions and more information. 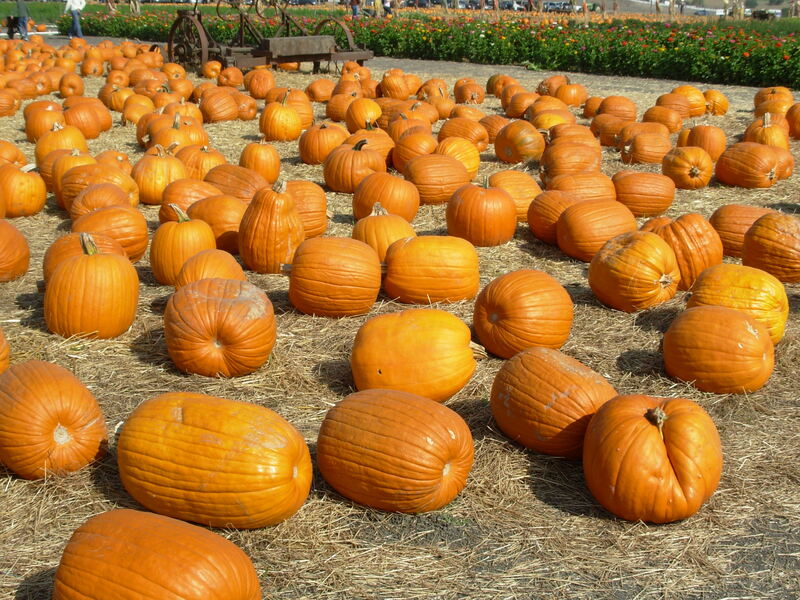 See the Arata’s Pumpkin Farm web site for directions and more information. 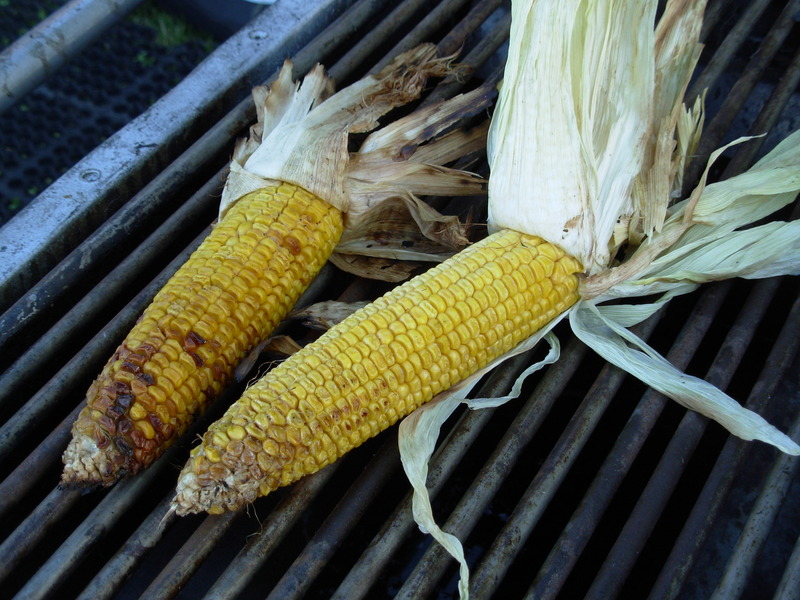 See the Pastorino Farms web site for directions and more information. See the Lemos Farm web site for directions and more information. 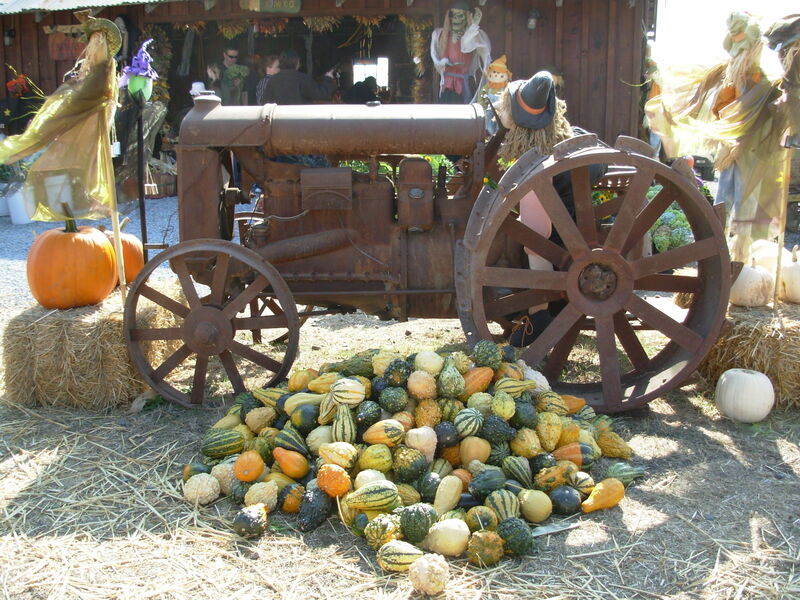 As if we needed another excuse to get out and enjoy early Fall, September 26-27 is Weekend Along Farm Trails in Sonoma. 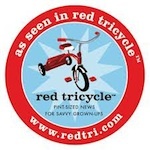 Sonoma County Farm Trails is a wonderful group. For 36 years, it has supported sustainable agriculture and provided education and tons of fun, with maps to and information about participating farms that are open to visitors. 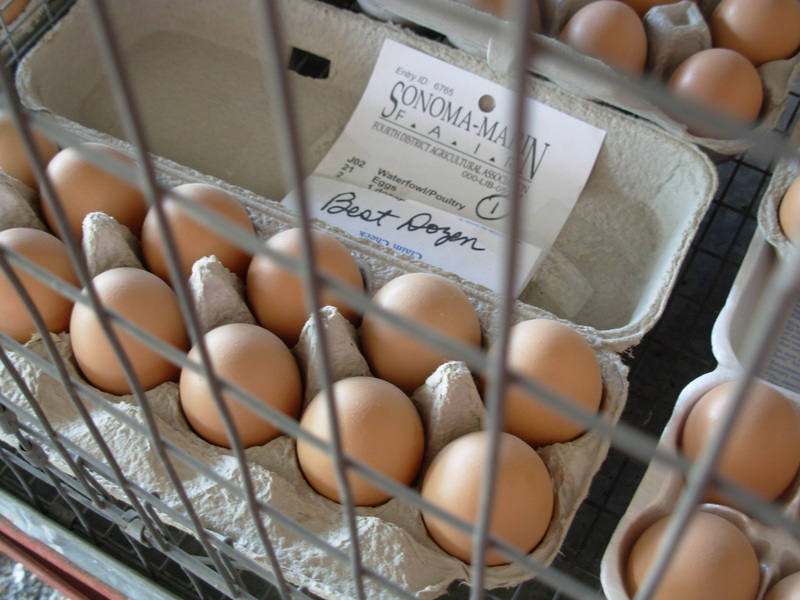 My family has visited farms for years, in all seasons — picking berries, apples, pumpkins, and zinnias; buying fresh vegetables, honey and eggs; feeding llamas, rabbits, chickens and cows; even making butter and milking cows, the last of which visitors can do at McClelland’s Dairy in Petaluma. Wineries, plant nurseries and restaurants are also on the tour. It’s just enjoyable to drive along the farm roads from one farm to another. 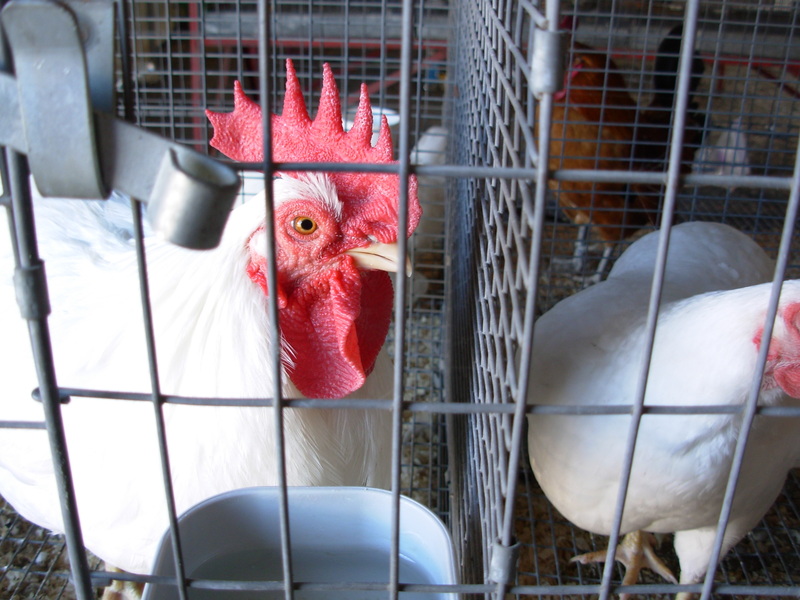 Often, farms are closed to visitors during a typical day, or are only open by appointment. So it’s especially fun when they throw the gates open on Farm Trails Weekend, and you can really go into the many different farms and experience feeding animals, learning about the harvest, meeting farmers, participating in chores, and otherwise enjoying a taste of farm life. 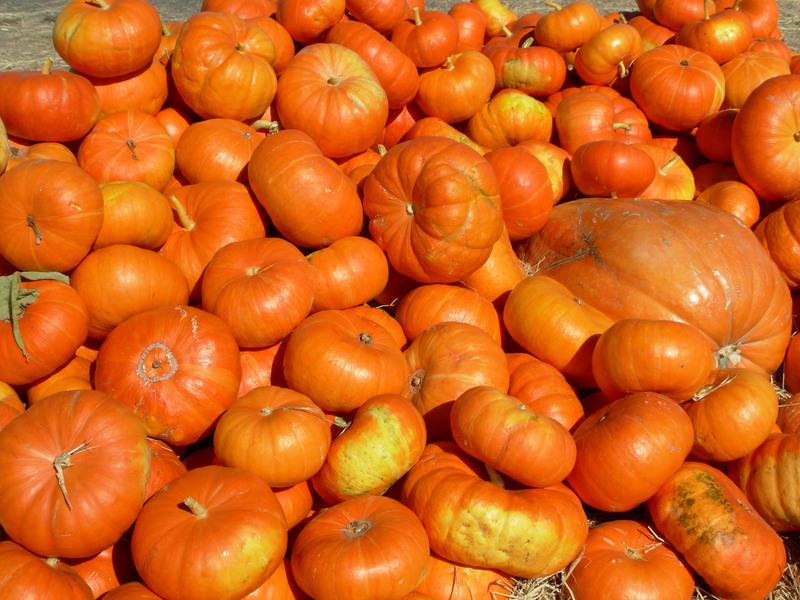 You can even get a jump on selecting a pumpkin. Some farms offer hay rides and other activities. See the Weekend Along Farm Trails site to map your route and plan your visit. You’ll probably want to visit farms that are clustered in one or two areas and plan about an hour per farm visit, or 3-5 farms in a day. Have fun! When Anna was small, she used to love both to go for drives and to look at cows. 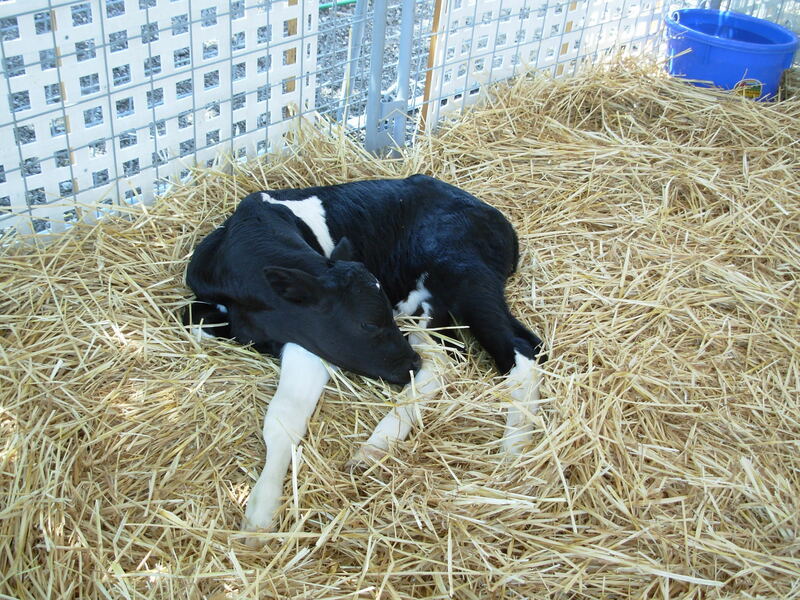 The 45-minute drive from our house to McClelland’s Dairy in Petaluma also happened to provide the perfect mid-day nap time. So it was that we took plenty of drives to McClelland’s, to watch the cows being milked in the dairy barn. Now you can do this, too, even without the nap. 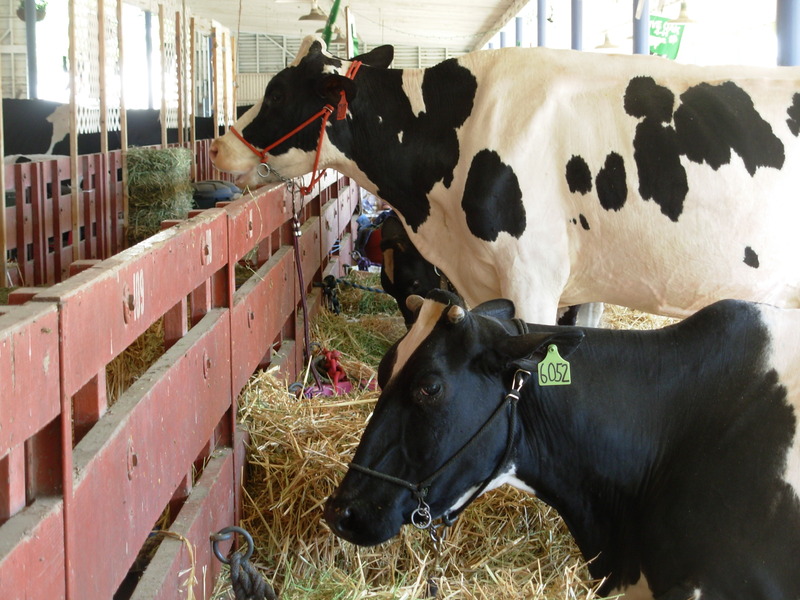 If you’ve ever wondered what it’s like to be a farmer, or if you just want to spend the day on a pretty farm, enjoying farm life, McClelland’s Dairy in Petaluma is offering families and others that chance, with a special day filled with activities at their family dairy farm. 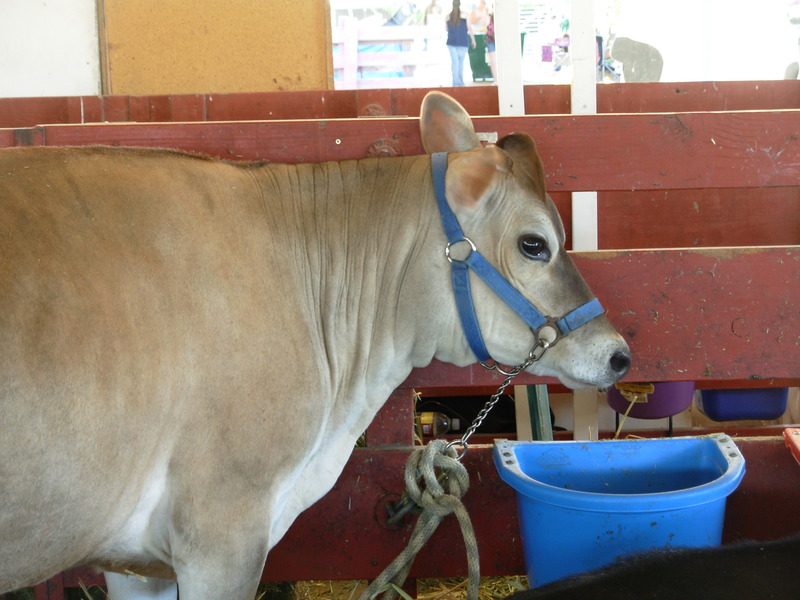 Participants will start with morning chores — feeding the baby calves from bottles in the nursery, mixing grain for the “mama” cows, and then milking cows, with one-on-one instruction from the farmers. You can sign up for a guided tour, where you’ll learn the history of the multi-generation family farm as well as more about the nursery and cow-milking barn. You can also experience making your own butter from milk. 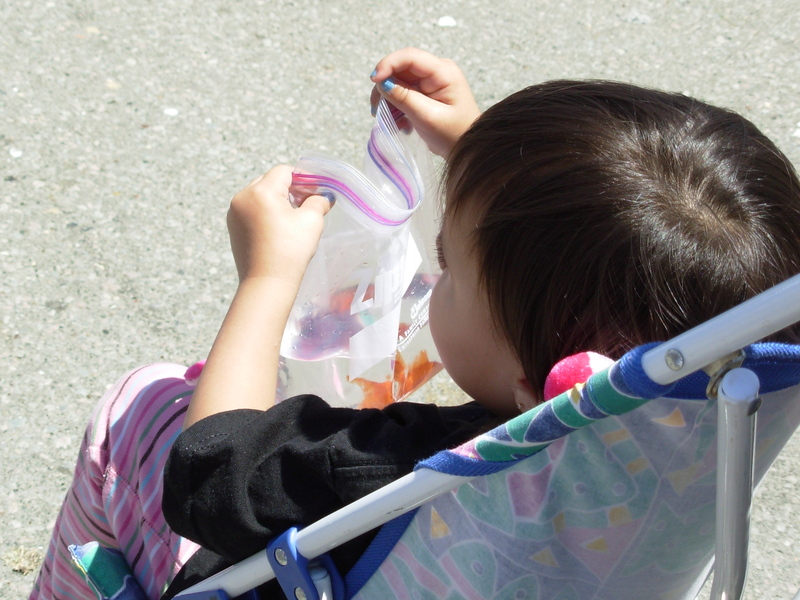 There are lunches for sale, or bring your own and picnic at the farm. 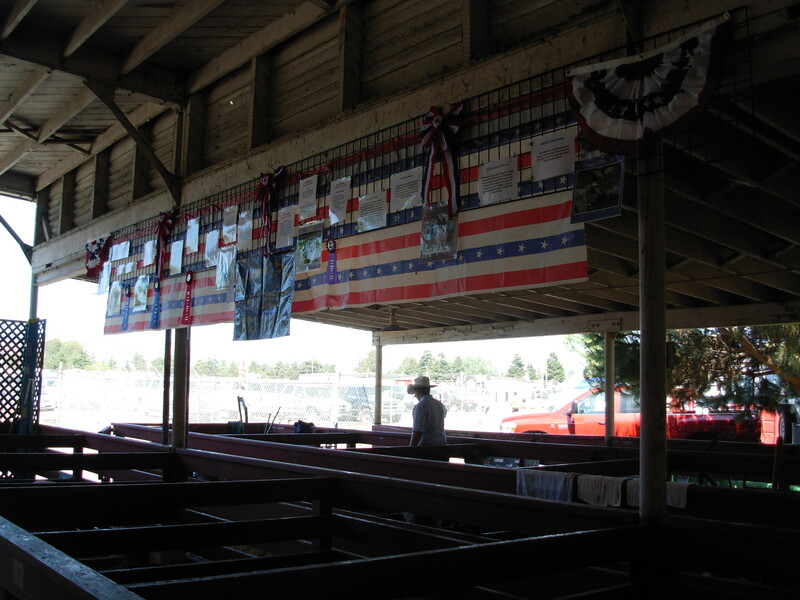 McClelland’s “From She to Thee Farm Days” will take place Sat.-Sun., September 5-6 and September 26-27. 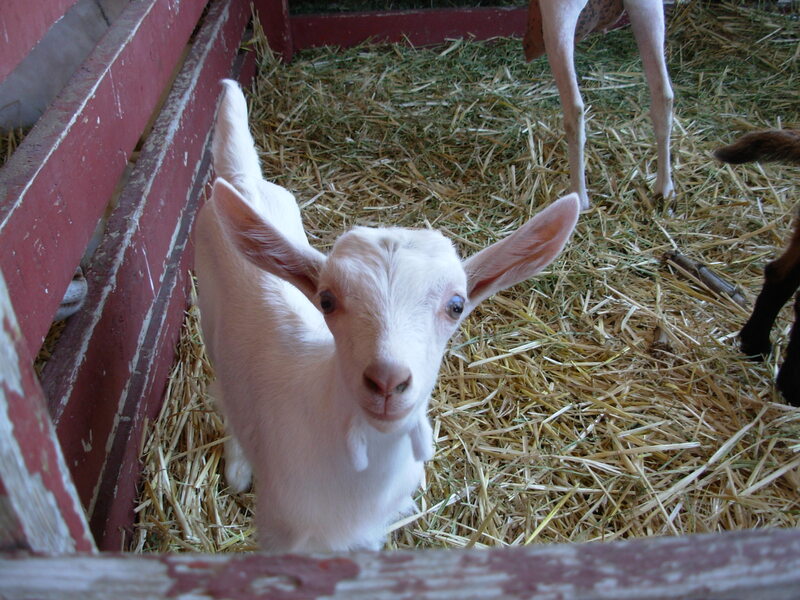 For more info about events, pricing, and the farm, see: The McClelland’s Dairy Farm web site. Posted in Butter and Egg, Field Trip, Lost Arts, Slow News, Sustainability, The Great Outdoors, Who Moved My Cheese?